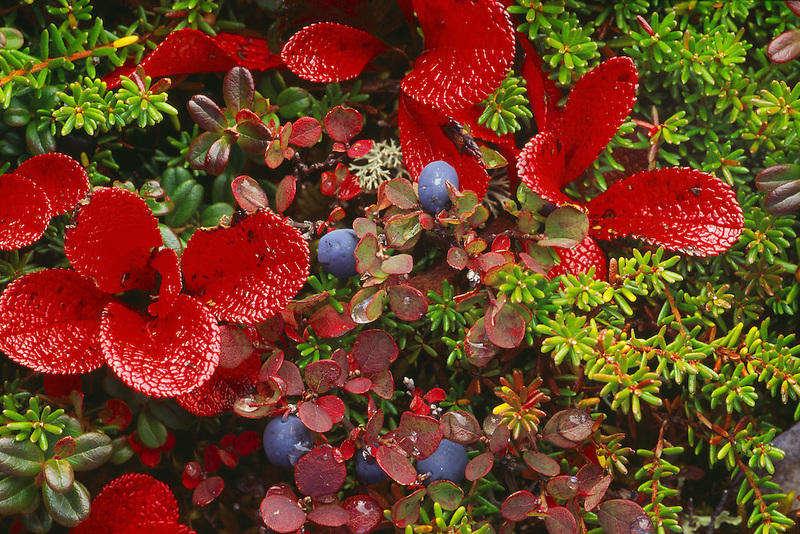 The red leaves of Red Bearberry along with some Bog Blueberry adorn the tundra in the fall in Denali National Park, Alaska. Fall. Morning.